Cost: Starters range from £6 to £12, main courses from £14 to £24, and desserts from £6 to £14 for the cheese board. Special, traditionally Portuguese options such as a whole suckling pig are also available for £385 to share between 8-10 people, given 3 days' notice. 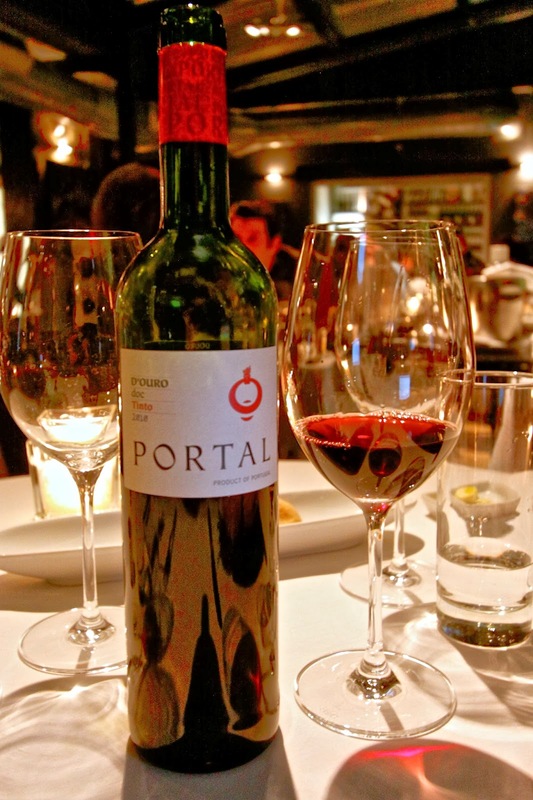 About: This is my second visit to Portal, you can see my first review here. 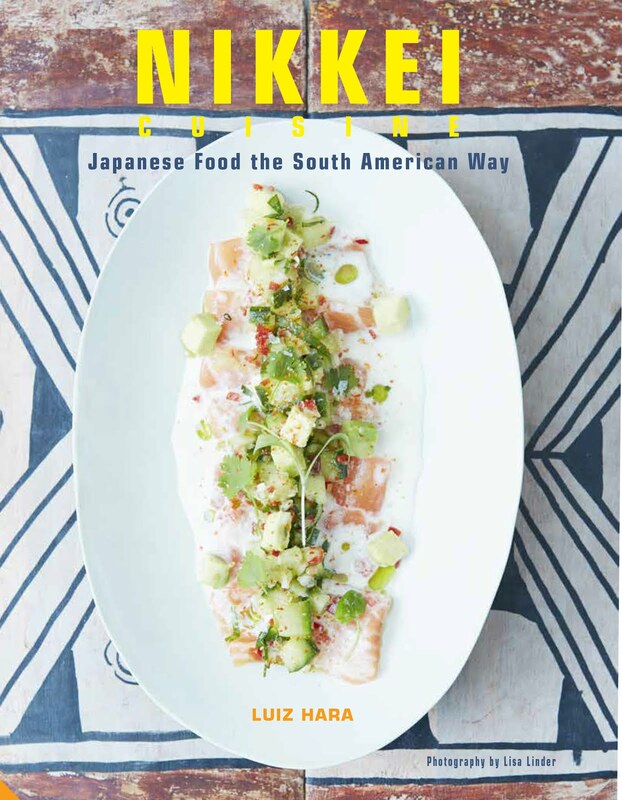 I was keen to pay a return visit as Portal recently appointed a new head chef, Vitor Veloso replacing Jeronimo Abreu who was head chef on my last visit. The restaurant has an elegantly timeless façade of jade-green tiles on a black background. On stepping through the front door, a spacious tapas bar area greets the eye - the perfect spot for a dry white port and a savoury platter or two. The restaurant itself comes as a surprise, being invisible from the street. Set in a large conservatory made almost entirely of glass and steel, it is surprisingly warm and inviting, and the lush greenery surrounding makes for a beautiful setting. The staff are mainly Portuguese, and very knowledgeable about the food and wine. 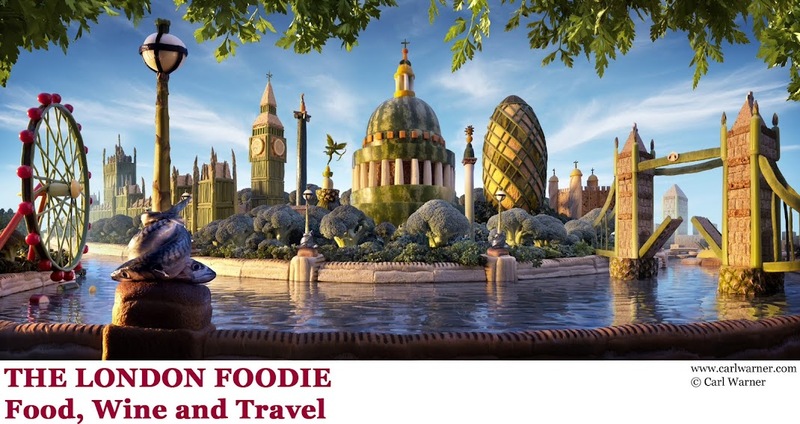 The restaurant is situated in the creative heart of Clerkenwell, sandwiched between the City and Islington. What We Ate: We kicked off with a starter of tender, meaty scallops with ‘Farinheira’ Crumble (pork sausage crumble), chicken broth and vegetables (£8.50) which was very beautifully presented. Our second starter was an open pigeon tart with caramelised onion, dried figs and Port wine reduction (£12). This had probably the most delicious, ripe and fragrant fig I've eaten in years, and sweetly tender caramelised onion, but was let down by the pigeon which was somewhat tough and dry, as well as being served cold. Being addicted to salt cod (bacalhau) since I was a child, the main course was an easy choice for me - I went for the roasted Bacalhau with broccoli purée, confit potato and garlic (£17). This was well presented and tender, but was to my palate rather lacking in flavour concentration and seasoning. It is a cliché in Portugal that Brazilians (with whom they share a passionate devotion to salt cod) like their fish over-salty, but to my palate this was nevertheless a little on the bland side. Dr G opted for the slow cooked Bisaro (neck of pork) with mushroom purée, bok choy, apple and raspberries (£20). The pork had been cooked sous vide for 12 hours, at 68 degrees, while marinating in white port, orange juice, rosemary and garlic. As an accompaniment, we had Batata a Murro (£3.50), a wholesome dish of new potatoes roughly crushed in butter and garlic. For dessert, we ordered one of the restaurant’s signature dishes – the legendary Pasteis de Nata (the quintessential Portuguese snack of burn custard in a flaky pastry case) which were excellent, with cinnamon ice cream (£8). We also had the Passion Fruit Parfait with coffee, poached pear and pistachio ice cream (£7), which was delectable and very refreshing. What We Drank: The wine list is put together by Antonio Correia, an acclaimed expert on Portuguese wines in London. The restaurant is said to have the largest collection of Portuguese wine in the UK, many made from indigenous grapes found nowhere else in the world. It is a treasure-trove. As we arrived, for a stunning aperitif, we opted not for our usual Manzanilla sherry, but rather for a glass of Quinta do Portal Extra Dry White Port (£6), which was perfect with a little dish of plain popcorn. The wine list is very extensive, and almost exclusively Portuguese, including a huge range of aged and vintage ports, and Madeira wines. There are some very rare, fine wines, but also a good range of more affordable options including whites from £24, and reds from £22. 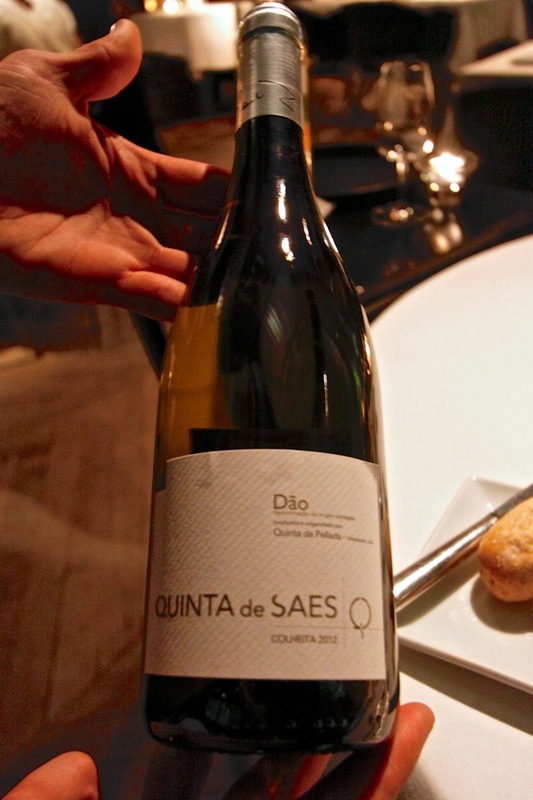 We were very impressed by the quality of the entry level house wines, and enjoyed with our starters a couple of glasses of white wine from the Duoro and Dao regions. 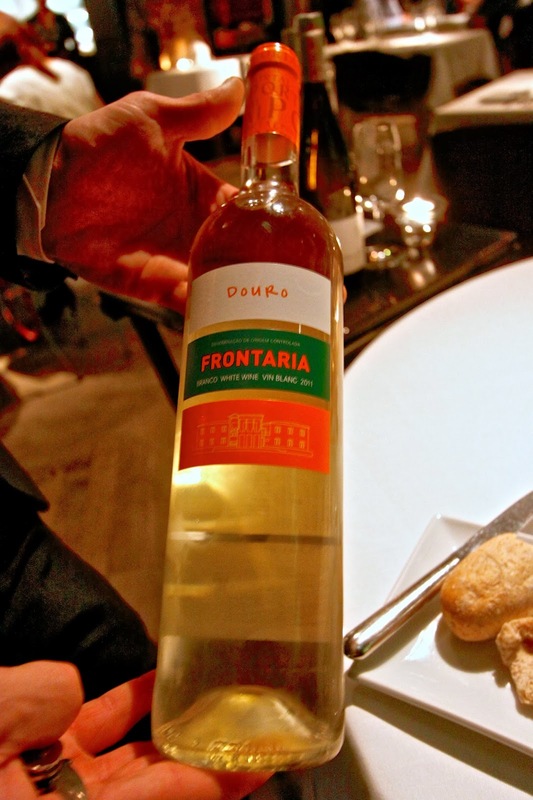 The Quinta do Portal, Frontaria Branco, Douro, 2011 was made from the Malvasia grape (£5 per glass), had crisp acidity, and went very nicely with the scallops. With the pigeon tart, we had a glass of Quinta de Saes, from the Dao region just south of Porto. A blend of Touriga Nacional, Tinta Pinheira, Jaen and Alfrocheiro, this was a steal at just £5.50 per glass. With our main courses, we had a glass of Condado das Vinhas 2012, from the Alentejo region (£5), which was straightforward but had a good concentration of red berry fruit. 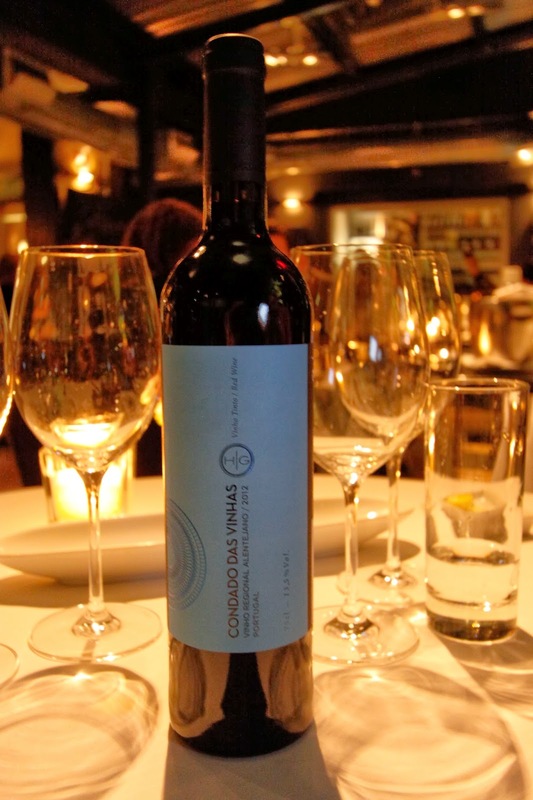 With the cod, we had a glass of Quinta do Portal DOC 2010, from the Douro region (£4.50). I was surprised to be offered red wine with the cod, but it worked well, being delicate enough not to overpower the meaty fish. Likes: There are few restaurants in London that offer serious Portuguese cuisine, and this place offers an extensive, authentic menu. The settings of the bar and restaurant are stylish without being flashy. The wine list is outstandingly good, lists some excellent regional Portuguese rarities, and starts at a very reasonable price. Service is discrete and expert. Dislikes: At best, the cooking is excellent, but sadly it was not entirely consistent on this second visit. 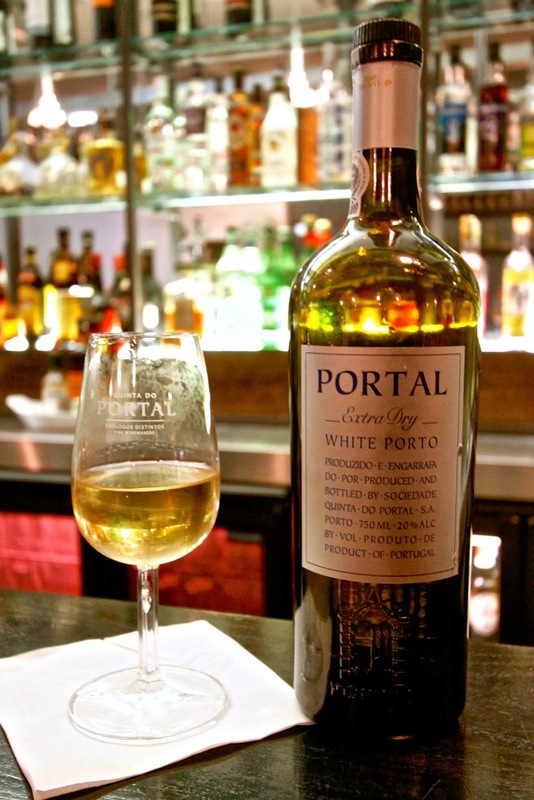 Verdict: Portal remains a well-established fine dining Portuguese restaurant in Clerkenwell. The list of Portuguese wines, Ports and Madeiras is unrivalled, and the setting is stunning. Recommended.